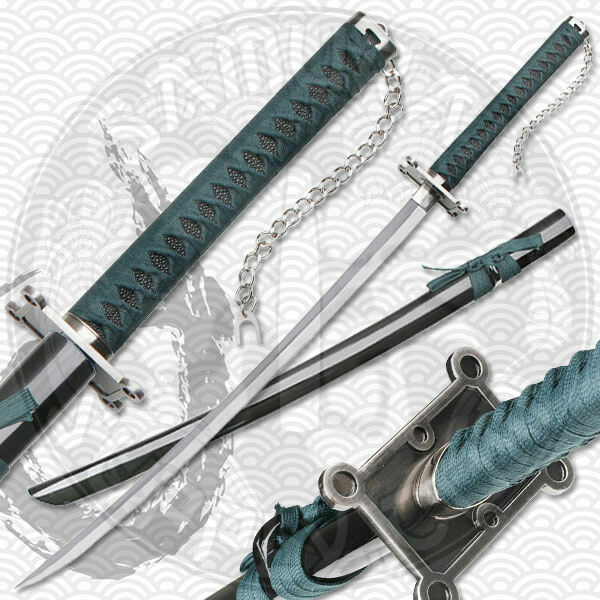 Here is another great Anime Sword for you Anime collectors and lovers. This particular sword has a few unique details that are very interesting. 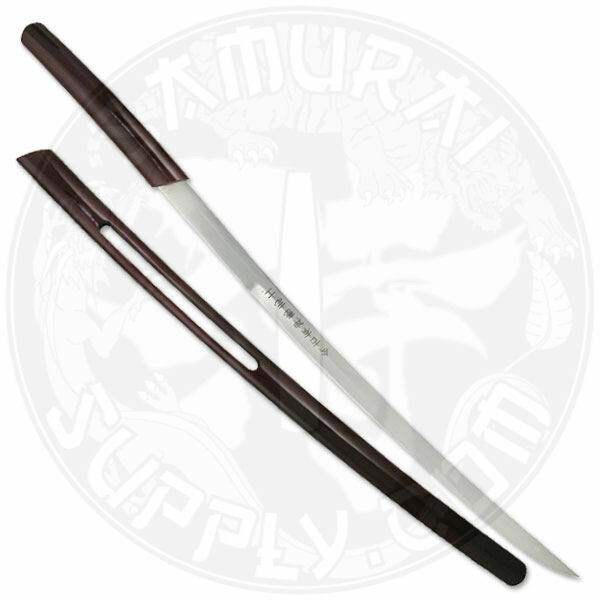 Take for instance the dual tone blade that adds a neat effect when the light hits it, or the oddly shaped tsuba which looks pretty cool. All in all this a great Anime Sword to add to your collection. Get yours now! Measurements: Blade: 27", handle: 11", overall: 39" (not including chain), weight: 1.6 lbs.